Unforeseen increases in the running costs of flagship science projects may result in hundreds of top UK physics brains losing their jobs, boffins have warned. The government has reportedly agreed to consider extra funding, but offers no guarantees. The BBC reports today that the funding problems lie within the budget of the Science and Technology Facilities Council (STFC), one of the seven research councils through which the UK funds its boffinry. Forget test-tubes and blackboards, this is proper science. The STFC has had its budget raised by 13.6 per cent in the latest spending review, according to Gordon Brown's new Department for Innovation, Universities and Skills (DIUS), which is in charge of funding the research councils. However, it appears that this may not have been enough to cover increased running costs at big-science facilities like the Diamond synchrotron. This is essentially an enormous magnetic doughnut full of high-energy electrons spitting out X-rays, which is useful for a whole lot of stuff. According to a National Audit Office report, issued back in January and entitled Big Science: "Operating costs of some projects have increased by large amounts... over 80 per cent for the first phases of the Diamond Synchrotron..."
The NAO says Diamond will cost £46m annually from 2011, which means an unexpected £21m to be met from the STFC's tri-annual budget of £1.9bn*. Overruns such as this have meant an £80m shortfall in the accounts. It is feared that this will be made up by cutting the research grants which support many boffins. Funding assigned to physics research, particularly through the STFC, is below that required... [the] shortfall in funding... could reduce the number of grants available to key university departments by 25 per cent... research in fundamental physics and astronomy sponsored by STFC provides the inspiration that attracts many young researchers to the field. It would be a great pity if funding decisions made today... discourage the next generation of UK physicists. It is believed there could be hundreds of job losses across physics, leaving Blighty with loads of top-class X-ray synchrotrons and so forth but not enough actual boffins to operate them. According to the BBC report, DIUS mandarins refused extra cash when the scale of the cost overruns became apparent. The STFC then suggested that, now it had Diamond, it could close its older synchrotron near Manchester earlier than planned. However, that was stymied by Labour MPs from the area who were concerned about job losses among support staff, leaving the STFC with no option but a boffinry bloodbath. 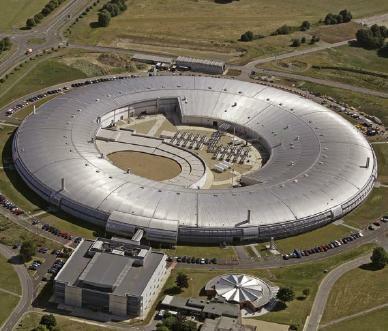 Annual budget of the STFC will rise from £573m to £651m during 2008-2011. The £1.9bn is for the whole period. Our mistake.